Original. I had painted a study of Marilyn Monroe a few years back. I was learning the portrait and so ... it was a very "tight" rendering. 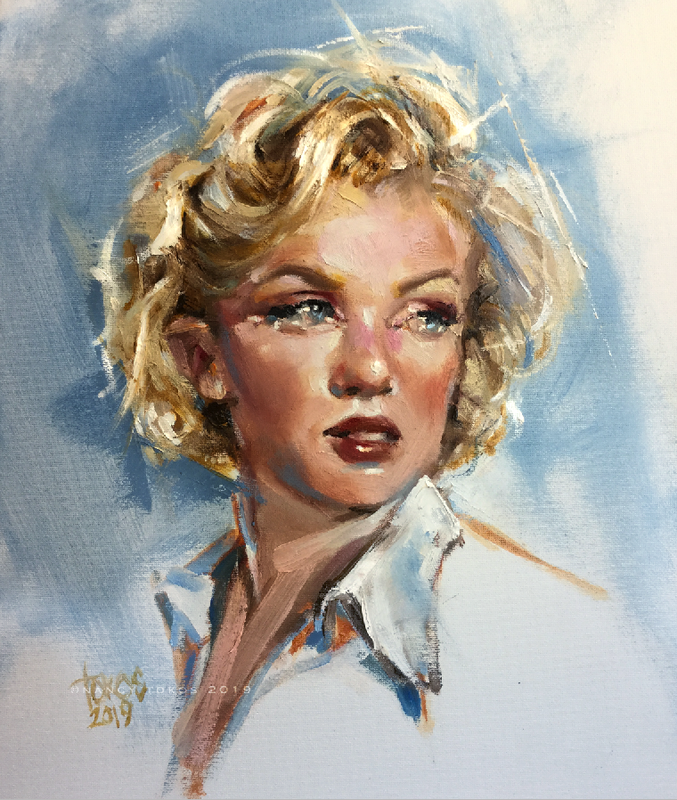 It's great fun to paint Monroe a few years later (and several hundred paintings!). Helps me see my "style" progress. This is an original work of art by California artist, Nancy Tokos, member American Impressionist Society and Oil Painters of America. Oil on canvas. Safely packaged and shipped via FedEx but please allow 1-5 days for shipping. Save shipping and take delivery from my bricks and mortar studio location in San Diego.